Let etiquette expert Dorothea Johnson’s essential dos and don’ts in Modern Manners guide you through the often perplexing realm of modern etiquette. Developing good manners is an vital investment in your future success. They allow you to feel at ease in any situation and give you the polish and confidence to become a strong leader. 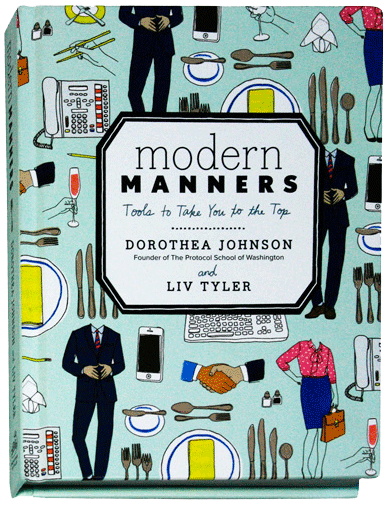 Dorothea Johnson's book, Modern Manners, written with her granddaughter, Liv Tyler, will guide you through what it means to express and show modern manners.